Beer, games and giant patios. This summer’s bar openings continue all throughout Seattle. Capitol Hill gets another gay bar, a sleek space with a fireplace lounge and a garden patio. The bar can seat almost 100. Located in the old Zoe’s restaurant spot, Union is one of the more ambitious LGBTQ bars to launch in recent years, a project backed by a group of investors who have owned or managed such popular gay bars as Thumper’s, Inside Passage and C.C. Attle’s. The food is mostly burgers, panini, sandwiches and flatbreads. The drink menu is heavy on vodkas and with 10 taps ranging from cheap Bud Light to craft beers from Reuben’s Brews and Stoup. 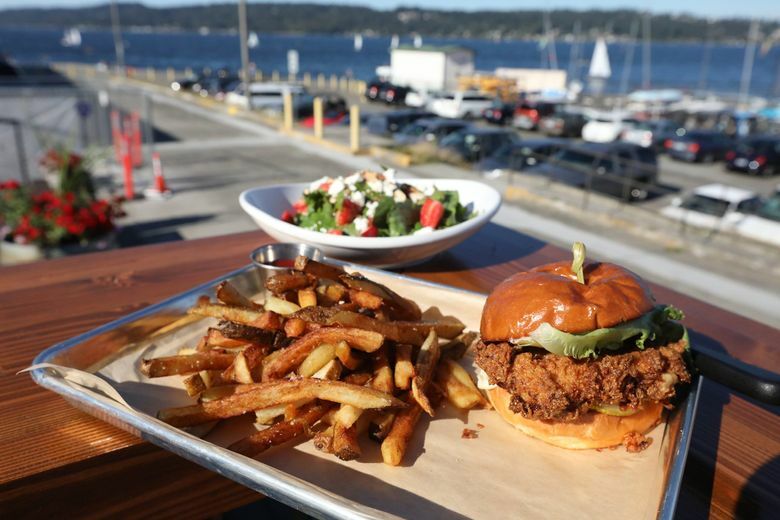 One of the summer’s biggest patios is finally open; Magnuson Cafe & Brewery gets prime real estate by Lake Washington with a 2,000-square-foot deck. The outdoor dining area, which can seat 100, is also dog-friendly. The 16-tap brewpub also has another 2,000 square feet inside. But it’s all about its outdoor space (and apparently burgers, which was what most folks ordered last Sunday). 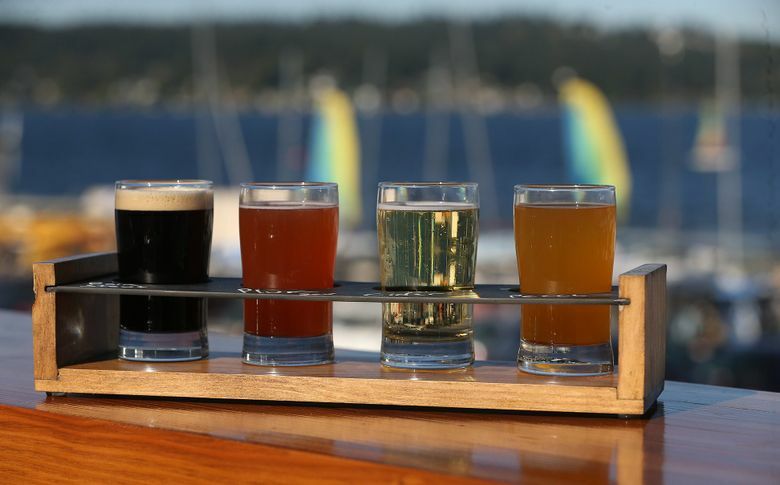 Outside of Leschi, Carillon Point, Gene Coulon beach park in Renton and a few other pockets, there aren’t many al fresco drinking holes with such a postcard-perfect view of Lake Washington. This brewpub comes from the same owners behind Dexter Brewhouse and Mollusk Brewing. Kirbie Predmore, former owner of Cooper’s Alehouse, one of the OGs in the Seattle craft-beer game, has opened a new bar in Lower Queen Anne called Uptown Hophouse. It’s a 2.0 version of his original bar. The craft-beer list is heavy on IPAs, especially from Northwest craft breweries. Located across from KeyArena, this sports bar boasts nine televisions and can seat at least 75. Flatstick Pub opened in South Lake Union with a nine-hole putt-putt course and 41 taps of craft beers, ciders and wines. Started in Kirkland in 2014, the original Eastside pub became a big WSU hangout on game day. Two years later, Flatstick Pub expanded to Seattle and became the surprise hit of Pioneer Square, no small feat considering many businesses near Occidental Park struggle to fill seats on nongame nights. Its no-frills approach worked: Focus on craft beer and leave other restaurants to provide the food. It has the same model in South Lake Union; Ethan Stowell will provide pizza and bar snacks. Flatstick’s space in Pioneer Square took up almost the entire block. Its new location is even bigger — 11,000 square feet with a 50-seat patio in Paul Allen’s old art gallery space. Heritage Distilling Co. opened a second tasting room in Seattle, this time on Capitol Hill, near Lark. This comes after opening in Ballard in May. Though it’s a tasting room, Heritage functions like a bar, serving cocktails featuring its own line of whiskeys, gins and vodkas. West Seattle gets The Alley, a new speak-easy in the backroom of Be’s Restaurant. The hidden bar has a separate bar menu with sliders, wings and egg rolls and features craft cocktails. In other news, Pike Brewing Co.is turning its production facility into a makeshift beer garden on the weekends, with kegs doubling as chairs and barrels as tables. Get an up-close look at how beers get made. The entrance sits in Post Alley by the gum wall. The temporary setup is only open from noon-6 p.m. on weekends and runs through Labor Day weekend.